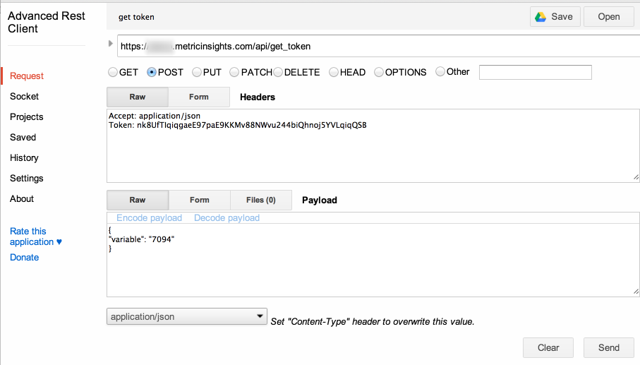 There are a number of client applications that you can use to test calls to the Metric Insights API. Options include the API Tool that comes with the Metric Insights application or use one of your favorites. 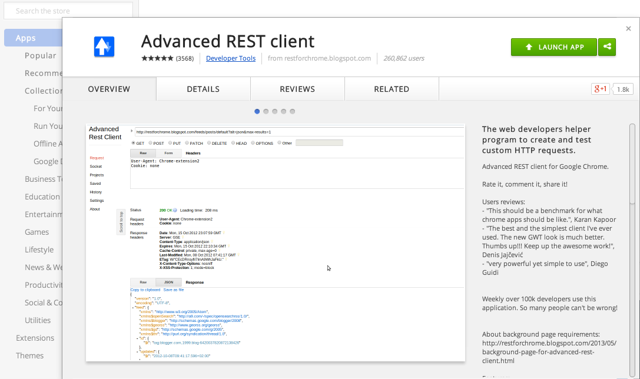 This article gives brief introduction to using the Chrome browser Advanced REST Client.